You probably already know about Celebrity Edge which is one of the most anticipated new cruise ships of the year and operated by Celebrity Cruises. The cruise line has released a new video showcasing the innovative Magic Carpet feature. The cruise line recently celebrated the newest cruise ship in the fleet joining the fleet and arriving in the U.S. for the very first. 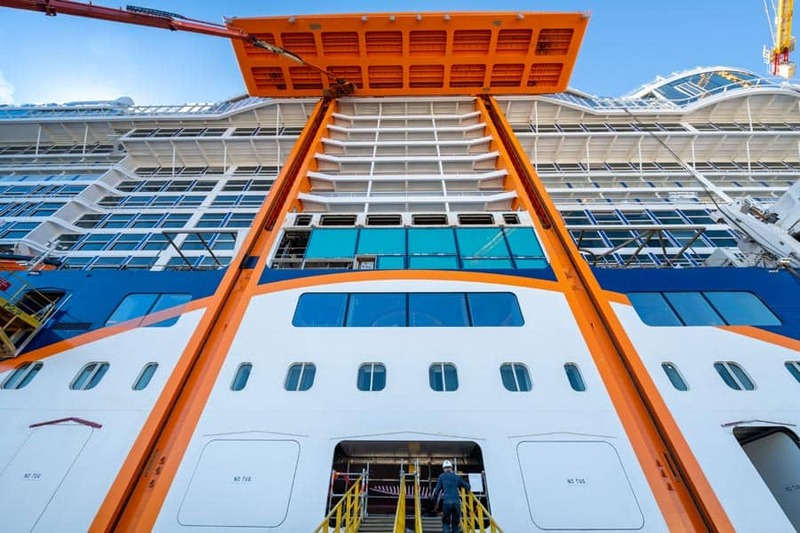 As Celebrity Edge is now based out of Port Everglades, Florida the cruise line is showcasing one of the most innovative features in the industry. In a new video, we get to learn more about the thinking behind the Magic Carpet, the world’s first cantilevered, floating platform that reaches heights of 13 stories above sea level along the ship’s exterior. The venue is used as a restaurant providing ocean views and can lower to the sea level for tendering if needed. Celebrity Edge recently arrived at her new homeport of Port Everglades, Florida and on December 9 will begin her new season sailing eastern and western Caribbean itineraries. The cruise line also opened its new Terminal facility to cater for the new class vessel. The 117,000 gross ton ship will sail another transatlantic crossing in Spring 2019 to begin a new season offer long Mediterranean cruises. The Celebrity ship has a passenger capacity of 2,700 and another sister ship will join the fleet in 2020.